The Jack Nicklaus-redesigned Champion Course at PGA National Resort & Spa - South Florida's world-class golf, getaway and meetings destination—has been awarded the 2016 Sustainable Golf Course of the Year Award in the Americas region by the International Association of Golf Tour Operators (IAGTO). This highly valued award solidifies the resort’s exceptional commitment to the three pillars of sustainable golf: nature, resources and people. The acclaimed property has long focused on sustainability throughout its extensive resort and golf complex of more than 800 acres. “The most important aspect of being recognized for sustainability efforts is to show others what is possible and to encourage them to do the same,” said Kathy McGuire, Dedicated Sustainable Development Manager and LEED Green Associate for PGA National. McGuire works closely with all departments throughout the property, including golf course maintenance and operations. Each area is held accountable by strict guidelines to ensure sustainability. The celebrated Champion Course, home of The Honda Classic on the PGA Tour, is located alongside 12,000 acres of nationally important wetland. 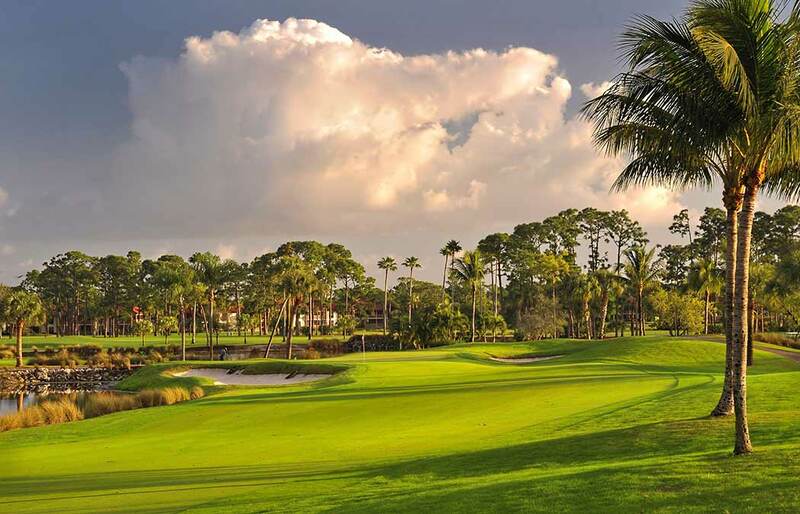 PGA National recognizes the important role it plays maintaining this living landscape, along with its responsibilities to reduce its use of resources and enhance the benefits it brings to its members, guests and local community. Some highlights of the club’s recent sustainability initiatives include the conversion of turfgrass species, leading to a 35-percent reduction in water use; 30-percent reduction in fungicide use; 20-percent reduction in overall fertility to the area; 100 percent of the site’s green waste is recycled and returned to the facility as mulch for organic fertilizer; $18,000 per year of savings on electricity use due to installment of energy-efficient drives to irrigation pumps; and provision of free electric vehicle charging for guests and members. As part of the partnership with the Golf Environment Organization, IAGTO recognized environmental and social excellence at its 16th annual awards ceremony in October. The three awards, which represent the three geographical regions—Europe, Middle East and Africa; the Americas, and Asia—reward and raise awareness of the tremendous work being done by many of IAGTO’s 800 golf courses and golf resorts around the world. The 2016 IAGTO Sustainability Awards were open to all GEO Certified® clubs. For more information on PGA National Resort & Spa, visit pgaresort.com.